Looking for IBM 4899 InfoPrint Color 1764 MFP Parts? The IBM 4899 InfoPrint Color 1764 MFP is an all-in-one multifunction printer (MFP) that provides color print, copy, scan, and fax functions. InfoPrint Color 1764 MFP is designed to keep up with the demands of large workgroups and can produce up to 40 page-per-minute (ppm)(1) letter size for monochrome; and up to 35 ppm(1) letter size for color. The IBM 4899 InfoPrint Color 1764 MFP Model 001 is an all-in-one multifunction printer (MFP) that provides print, copy, scan, and fax functions, with standard memory of 384 MB, maximum memory of 768 MB, an 800 MHz processor, hard drive, and modem. In addition to one 500-sheet built-in drawer, the printer includes two more 500-sheet drawers and a 100-sheet multipurpose feeder for a total input capacity of 1,600-sheets standard. Output capacity for all models is 250 sheets. Duplex is standard. All models include 256 MB of SDRAM in the printer and 512 MB in the MFP for a maximum of 768 MB of memory. All models have one slot for flash memory. One 32 MB or 64 MB flash memory option is supported. One slot is available for application solution features such as IPDS or bar code. A hard drive (40 GB+) comes standard on the InfoPrint Color 1764 MFP. Fast Ethernet is standard on all models. The maximum monthly usage for printing is 120,000 impressions. IBM does not recommend printing to these monthly maximums on a consistent basis. InfoPrint Color 1764 MFP has five toner darkness levels for color and monochrome. The printer ships with printer darkness set at level 4. When printing in color, level 5 is equal to level 4. Font linking is supported with TrueType fonts. Font collections are not fully supported on these printers. Only characters located in the first 64K area of unicode range are supported. Additional fonts can be downloaded to the MFP RAM, hard drive, or optional user flash card. Included on the CD-ROM shipped with the MFP are screen fonts to match the MFP's resident scalable fonts. This CD also includes a variety of downloadable fonts for Hebrew and Arabic. Note: (1) The first 25 narrows pages print at rated engine speed; subsequent pages print at the speed shown. Note: (2) Once the printer enters a reduced throughput mode as indicated, the printer remains at the given speed after the last sheet of non-full-size media until the fuser returns to standby temp. First Print Time from Standby(1)(2)        Mono       <11.0 sec. First Print Time from Power Saver(1)(2)    Mono       <75.0 sec. Note: (1) All first print times are measured for 4800CQ simplex printing on letter sized paper. The test job consists of a single page of simple text (approximately 20% coverage). The First print time is defined as the elapsed time from hitting enter on the PC keyboard to the page exiting to the output bin. All tests will pick paper from the default primary input tray and the page will exit into the default primary output bin. Note: (2) Times may be longer if an automatic calibration is required. Customer-replaceable maintenance items are recommended every 120,000 pages for the fuser and 120,000 pages for the ITU. After changing an intermediate transfer unit. Note: A manual calibration can be initiated by selecting Settings Menu, Quality Menu, "Color Adjust". The InfoPrint Color 1764 MFP will offer several controls that will allow the user or Printer / Network Administrators to direct the preferred output to be Color or Black & White. A choice to print a color job in black & white is available in InfoPrint Color 1764 MFP Drivers. Note that the drivers for InfoPrint Color 1764 MFP are branded InfoPrint Color 1764. Printing jobs in color is the default setting. InfoPrint Color 1764 MFP will offer a Black only driver (Windows NT 4.0, XP, 2000, Windows Server 2003) that will allow Printer / Network Administrators to limit the printing from some workstations to black and white only. Allows users not utilizing an InfoPrint Color 1764 MFP Driver to print a color job in black & white by selecting Black & White from the menu. The selections are Color (default setting) and Black & White. "Print Mode" is located under the Color Menu. These Op panel selections are ignored when using an InfoPrint Color 1764 MFP Driver for Windows. Printer Usage modes are set to control the starting position of the Intermediate Transfer Unit (ITU) and how the printer software controls its position depending on the color content of the print job and/or the InfoPrint Color 1764 MFP Driver or "Print Mode" selection. There are two selections: Max Speed and Max Yield (default setting). "Printer Usage" is located under the Settings Menu then Setup Menu. This feature allows Printer/Network Administrators to "lock" the InfoPrint Color 1764 MFP in a mode that will only print black & white with the ITU disengaged. This feature can not be overridden with any other menu or driver selection. "Black and White Lock" is located under the Setup Menu. Print Permissions allows customers to configure the InfoPrint Color 1764 MFP to only print color for certain approved network user IDs. MarkVision will host a utility that allows IT administrators to enter user ID exceptions to normal printing function. User ID specific permissions are entered and stored in the printer. They can be updated at any time and as many times as customers wish. The list is limited to 100 user IDs per printer. The list is intended to be an exceptions list. (i.e. if normal use allows color printing for most people the list can be used to exclude certain users from color printing). InfoPrint Color 1764 MFP will have 5 Toner Darkness levels for color and mono. The printer will ship with Printer Darkness set at 4. When printing in color, level 5 is equal to level 4. The InfoPrint Color 1764 MFP will offer a Color Balance Control. It is a color correction option that allows the user to increase or decrease the amount of toner going to the page individually for the cyan, magenta, yellow and black color planes. The scale for the adjustments is +5 to -5. The InfoPrint Color 1764 MFP will offer a Color Saver Mode that allows end users to print images and graphics lighter. Text will print at Toner Darkness "4", while images and graphics print at Toner Darkness "1". The Color Saver Mode is located on the Op panel under the Color Menu and may be selected from the IBM Custom PostScript or PCL Driver. In this feature, setting this option to ON has the effect of more faithfully representing fine detail in jobs, such as fine lines in CAD drawings. The default is OFF. The Coverage Estimator allows end users to estimate the percent coverage of cyan, magenta, yellow and black on a page. The estimates will be printed on the page. The Coverage Estimator is available from the Op Panel under the Settings Menu and then the Utilities Menu. ADF(1)     Text or Text/Photo      Letter  StandBy/Ready     13.210 sec. ADF(1)     Text or Text/Photo      A4      StandBy/Ready     13.411 sec. Flatbed    Text or Text/Photo      Letter  StandBy/Ready     14.367 sec. Flatbed    Text or Text/Photo      A4      StandBy/Ready     14.632 sec. ADF        Photo or Printed Image  Letter  StandBy/Ready     14.290 sec. ADF        Photo or Printed Image  A4      StandBy/Ready     14.317 sec. Flatbed    Photo or Printed Image  Letter  StandBy/Ready     14.518 sec. Flatbed    Photo or Printed Image  A4      StandBy/Ready     15.067 sec. ADF(1)     Text/Mixed              Letter  PowerSaver        61.684 sec. ADF(1)     Text/Mixed              A4      PowerSaver        64.672 sec. Flatbed    Text/Mixed              Letter  PowerSaver        65.409 sec. Flatbed    Text/Mixed              A4      PowerSaver        63.195 sec. ADF        Photo or Printed Image  Letter  PowerSaver        62.909 sec. ADF        Photo or Printed Image  A4      PowerSaver        62.615 sec. Flatbed    Photo or Printed Image  Letter  PowerSaver        62.894 sec. Flatbed    Photo or Printed Image  A4      PowerSaver        63.865 sec. Note: (1) Loading paper in the ADF or Flatbed or touching the M40 MFP Option display will activate warm-up of the MFP and could lower this time to first copy. ADF(1)     Text or Text/Photo      Letter  StandBy/Ready     16.894 sec. ADF(1)     Text or Text/Photo      A4      StandBy/Ready     17.794 sec. Flatbed    Text or Text/Photo      Letter  StandBy/Ready     16.587 sec. Flatbed    Text or Text/Photo      A4      StandBy/Ready     16.737 sec. ADF        Photo or Printed Image  Letter  StandBy/Ready     28.301 sec. ADF        Photo or Printed Image  A4      StandBy/Ready     29.469 sec. Flatbed    Photo or Printed Image  Letter  StandBy/Ready     26.705 sec. Flatbed    Photo or Printed Image  A4      StandBy/Ready     26.965 sec. 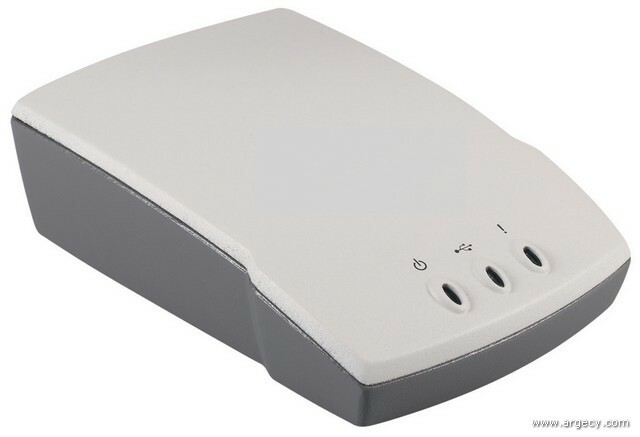 ADF(1)     Text or Text/Photo      Letter  PowerSaver        66.997 sec. ADF(1)     Text or Text/Photo      A4      PowerSaver        67.739 sec. Flatbed    Text or Text/Photo      Letter  PowerSaver        65.397 sec. Flatbed    Text or Text/Photo      A4      PowerSaver        63.998 sec. ADF        Photo or Printed Image  Letter  PowerSaver        84.837 sec. ADF        Photo or Printed Image  A4      PowerSaver        85.496 sec. Flatbed    Photo or Printed Image  Letter  PowerSaver        76.434 sec. Flatbed    Photo or Printed Image  A4      PowerSaver        78.766 sec. The following table summarizes performance numbers for the InfoPrint Color 1764 MFP. Note: (2) All faxes are stored on hard drive memory as described. InfoPrint Color 1764 MFP does not support 8-bit grayfax. Broadcasting is available on the InfoPrint Color 1764 MFP. It can broadcast to 46 locations (based on 10 digit numbers with a max of 512 characters). This function is supported by Speed Dials (shortcuts) and the touch screen menus for Group Fax (Broadcasting). Manual Fax capability available on InfoPrint Color 1764 MFP. The number of SpeedDials/Shortcuts is greater than 5000, based on a 10-digit phone number. Faxes are preserved over POR on the InfoPrint Color 1764 MFP. LDAP Address Lookup capability on the InfoPrint Color 1764 MFP. Requires user authentication prior to performing sensitive operations such as scan-to-e-mail and scan-to-fax. This process that unauthorized individuals cannot use these functions. The MFP touch screen lock function disables the MFP functions such as copy and scan-to-email. This helps secure the MFP from unauthorized use when the office is idle or unattended. An administrator must unable the function and set the password for use with the function. Any user may then lock the MFP touch screen or unlock the touch screen using the password. 802.1x port authentication allows the MFP to join networks that require authentication before allowing access. 802.1x port authentication can be used with the WPA (Wi-Fi Protected Access) feature of an optional external wireless print server to provide WPA-Enterprise security support. Operator Panel Menu Lockout allows creation of a PIN number and a choice of specific menus to lock. Each time a locked menu is selected, the user is prompted to enter the correct PIN at the operator panel. The PIN does not affect any access through the EWS. Printing Lockout allows locking or unlocking of an MFP using an assigned PIN. When locked, every job the MFP receives will buffer to the hard disk. A user can print jobs only by entering the correct PIN on the operator panel. A PIN can be assigned through the Web page of the MFP. Note: Back channel data will be processed while the MFP is locked. Reports such as users or event logs can be retrieved from a locked MFP. Disk Encryption provides protection of sensitive data stored on internal hard disk drives in the event of unauthorized access to the hardware. When enabled, Disk Encryption uses 128 bit AES encryption to encrypt all data stored on the drive. This feature is disabled by default, and enabled through the Power On Configuration menu. When enabled or disabled, the entire drive is formatted, destroying any references to data that may have been stored previously. Hard disk wiping performs a multi-purpose overwrite of all sectors on the hard drive, mitigating the potential exposure risks for sensitive information. This feature is performed on a demand basis, and is accessed through the Power On Configuration menu. The InfoPrint Color 1764 MFP printable area is limited to within 4.2 mm (0.167 in.) of top, bottom, left or right edges of the media. Any information placed outside this specified printable area will not print. 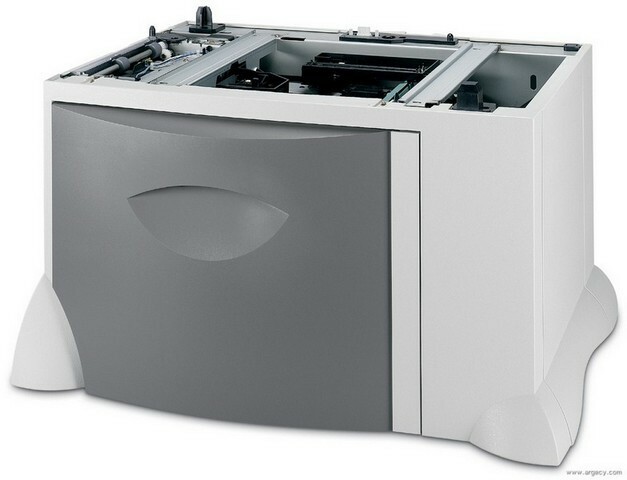 All models come standard with three 500-sheet paper drawers and a 100-sheet multipurpose feeder. One 250-sheet output bin is standard. See tables below for standard and maximum media capacities. Note: (1) A maximum combination of three optional 500-sheet drawers or a maximum combination of one optional 500-sheet drawer plus one 2,000-sheet drawer is supported on any model. Scanner shelf can only be used in the noted standard configuration. Note: A maximum of one 5-Bin Mailbox, Output Expander, or StapleSmart Finisher is supported. Note: The included scanner shelf cannot be used with any output options other than Standard Output Bin. Note: (3) Size 76.2x127mm to 229x355.6mm (3x5 in. to 9.01x14 in.). 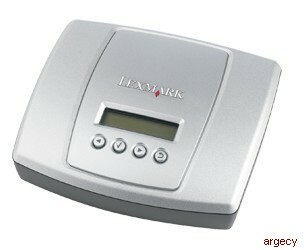 Note: (9) Paper 105 to 176 gsm (28 to 47 lb) must be printed with Paper Weight set to heavy. Note: (1) 105 gsm (28 lb.) banner paper must be printed with Paper Weight set to Heavy. Preprinted forms and letterheads must be able to withstand 180 degrees C (356 degrees F) fusing temperature and should be selected using guidelines found in the printer User's Guide. The chemical process used in preprinting may render some papers unsuitable for use with the InfoPrint Color 1764 MFP. Unsuitable papers include multipart forms and documents; chemically treated papers; coated, synthetic and thermal papers, A5 paper less than 80 gsm, recycled paper less than 75 gsm; and preprinted papers requiring a high degree of registration. Transparencies specifically designed for xerographic copy machines or laser printers may be used with the InfoPrint Color 1764 MFP. Additional input or output options may preclude use of the scanner shelf or require other furniture. Contact your sales representative for further information. The Card for IPDS and SCS/TNe cannot be used in the InfoPrint Color 1754/1764 laser printer in conjunction with the Bar Code Card. Direct USB connectivity allows individuals to print or scan PDF, TIFF, and JPEG files directly to the MFP using an approved USB flash memory device. Through the MFP's USB Direct interface located on the MFP operator panel, a user can simply insert the USB flash memory device, select the appropriate file and choose to print the file on this specific MFP. Similarly, the user can choose to send scanned files from the MFP to a USB flash memory device . The InfoPrint Color 1764 MFP complies with the global safety standard for Information Technology Equipment, i.e. IEC 60950, and its country equivalents in the markets we serve. Meets R&TTE Directive 1999/5/EC and test reports to Test Report to TBR-21 and EG 201 121 and ETSI TS 103 021, -1, -2, -3. This product must be homologated in countries where required. Note: LWAd is the statistical upper-limit A-weighted sound power level (rounded to the nearest 0.1 B). Note: LpAm is the mean A-weighted emission sound pressure level measured at the 1-meter bystander positions (rounded to the nearest dB). Note: All measurements made in conformance with ISO 7779 and declared in conformance with ISO 9296. Note: All measurements were made with the M40 MFP Option scanner and InfoPrint Color 1764 printer together. Note: (8) Citrix Metaframe, Metaframe XP are registered trademarks of Critix Systems Inc.
MarkVision Professional is a cross-platform printer management solution that enables IT administrators to proactively monitor and manage network devises in an enterprise environment via a web browser. It provides IT administrators with realtime device status and information, centralized device setup, remote printer monitoring and management, and asset management capabilities. InfoPrint Color 1764 MFP uses the InfoPrint Color 1764 drivers. System drivers for Windows provide users with basic printing capabilities for their IBM printers/MFPs. Built on Microsoft technology, system drivers mix key IBM MFP capabilities with Microsoft's rendering engine to provide a solid, no-frills driver. IBM system drivers are available in PCL-XL emulation and PostScript versions. NPRU will not support the InfoPrint Color 1764 MFP. This utility will not support the InfoPrint Color 1764 MFP. Contained on the M40 MFP Software and Documentation CD. This will be available in the following languages: English, French, Italian, German, Spanish, Brazilian Portuguese, Danish, Dutch, Finnish, Norwegian, Swedish, Russian, Polish. This will support the following languages: English, French, Italian, German, Spanish, Brazilian Portuguese, Danish, Dutch, Finnish, Norwegian, Swedish, Russian, Polish. This output option offers an additional output destination, which holds up to 650 sheets of (20 lb., 75 gsm) paper. This feature offers stapling, offsetting, and an additional output bin. It can support up to 500 sheets of unstapled media. For stapled media, the output bin supports up to 15 stapled sets or 375 sheets. The stapler can staple a maximum of 25 sheets per set. The staple cartridge contains 3000 staples. The finisher has two handy storage compartments for storing extra staple cartridges. Refill staple cartridges are available in packages of three cartridges. The Banner Tray feature is an extension of the Multi Purpose Feeder and allows the automatic feeding up to 50 sheets of 24 lb. (90 g/m2) banner paper up to 8.5 inches wide x 48 inches long (215.9mm x 1219.2mm). It also serves as an extension of the output tray, to hold the printed banner paper as it exits from the printer. The banner media tray is easily installed and features a fold-down tray for space savings when not in use. All media which can be fed from the Multi Purpose Feeder can be used when the Banner Tray is attached. 50 sheets of 24 lb (90 g/m2) paper is the maximum input and output of banner paper supported using the Banner Tray. Banner paper is not supported using duplex mode. The option ships with a box of the Banner Paper. The InfoPrint Color 1764 MFP has no free slots for DRAM memory and one slot for flash memory features. A maximum of 768 MB of memory and 64 MB of flash memory is supported. Note: The MFP has no open slots for interface cards. In addition to the standard USB port for all models, each InfoPrint Color 1764 MFP model has no open interface slots that can be used for optional local connections or network connections. This external print server has four USB ports to connect up to four printers to an Ethernet 10BaseT/100/1000BaseTX network. The Bar Code Card Card enables the InfoPrint Color 1764 MFP to print more than forty seven of the most popular industry standard bar codes, including Datamatrix, QR Code, Aztec, microPDF417, PLANET, Codablock F, ITF14, and HIBC128. The Bar Code Card card generates bar codes algorithmically for improved readability. There is no feature exchange with these products. UNIX is a registered trademark in the United States and other countries licensed exclusively through X/Open Company Limited. IBM Corporation 2007.